Macedonian municipalities owe 100 million Euros only for unpaid invoices. Some of these costs have been made in cafes, for asphalting streets before elections, and a good part for temporary employment. Municipalities with most debts are: Ohrid with16 million Euros, Tetovo 15, Karposh 8, Bitola 5, Struga 4 million and Kumanovo 3,7 million Euros. Most stuck in mayoral debts are the citizens of Ohrid. The accounts for municipal mismanagement are to be paid by the citizens. Thus each Ohrid family should pay 1,100 Euros for the luxury spending of the mayors. Each family in Demir Kapija should pay 800 Euros, in Pehchevo 730, Tetovo 700, Staro Nagorichane 640 and Karposh 530 Euros. “The state has to sharpen the measures and must not allow the mayors, courting them in the wake of the elections to spend a lot, a lot more than they really have, it is a criminal act and someone needs to be held responsible for it, but it has never happened”, Ace Kocevski, Mayor of Veles says. “Mayors are local sheriffs. The mayor and plus if his party has a majority, they do what they want to do, without any real control by the central government. Unfortunately, in our country, only two entities do not respond politically and are elected in direct elections. These are the mayors and parliamentarians. That practice must stop because a mayor in our country can be someone with completed 4th grade, or a donkey, as in America, a dog was elected a mayor, but it is a local community of 100 people, not as in the city of Skopje or Kumanovo with 110,000 inhabitants. We must determine the conditions who can be the mayor and the conditions when he can be dismissed. Current mayors confirm that the municipalities have been indebted without any measures and criteria. 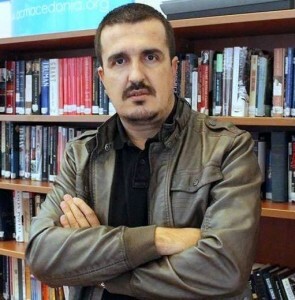 Ace Kocevski, the mayor of Veles claims that from 2013 to 2017 the previous mayor had not paid any single invoice to the public company for 4 years, making the municipality a debtor to the public company for almost 1.5 million Euros. He illustrates an example: “The most typical is the example of Gostivar, where there was only 17% collection, can you imagine it, as if living in communism, so nobody had paid anything, that is, only 17% had paid and therefore the public enterprises had such huge debts. The Minister of Information Society and Administration, Damjan Manchevski is also dissatisfied with the work of some local governments. “They need to optimize their costs and normally their costs have to be appropriate to revenues”, he told us. Prime Minister Zoran Zaev’s government issued a call for the first time in which 50% of the debt will be paid by the state. About 50 million Euros are provided for this purpose from the state treasury. This draft law is commissioned for the municipalities whose mayors had spent without taking into account citizens’ interests. “We, as a government, were faced with the challenge that these debts had been settled for years, either due to employees, or due to some situations, however, it is a factual situation, the money is owed. Municipalities were blocked. About 20 were with a blocked account. We could either leave it that way or help to unblock and now we will normally look for results, this is not something that they should hope for next year. This is one time. Who knows when next time, probably never and it should be like that”, Damjan Manchevski, Minister of Information Society and Administration believes. The chaos in financing and functioning of the municipal government results from the current legislation and from the wishes of the central government. Borche Davitkovski, Professor at the Faculty of Law claims that in the Law on Local Self-Government, the principle of responsibility should be introduced. That law has many uncertainties. “By amending the election law, we continued the mandate of mayors and councils which is out of mind. The Law on Local Self-Government was passed by 2/3, it is a systemic law. With the Electoral Law we cannot say that the mandates of the existing ones are extended”, he says. The same municipalities are on the list of the most indebted and overstaffed local governments. According to the research conducted by the Center for Change Management, top 10 overstaffed municipalities are Pehchevo with 5 employees per 1,000 inhabitants, Tetovo 5, Staro Nagorichane 5, Karposh with 4, Ohrid 4, and the European standard is only 1 employment per 1,000 inhabitants. Ace Kocevski, Mayor of Veles explains that they have about 90 employees in the municipal administration. “While in the Municipality of Ohrid, which is greatly indebted and with a blocked account, in the last 20 years and more, having a similar number of inhabitants as Veles, has had 240 employees. The Municipality of Karposh, which is slightly larger than Veles, has 430 employees and has smaller competences than Veles, because in Veles, primary schools, high schools, kindergartens, cultural institutions are local, the territorial fire unit. Skopje municipalities do not have these competencies because they are part of the city of Skopje. At municipal level in Skopje, only kindergartens and primary schools are at municipal level. It is illogical Karposh to have 430 employees, which means that the municipality is filled with party meritorious staff who are seriously burdening the budget and so there are debts and now it is not fair for the state to cover the debts that are made for such reasons and I can be good for 100 families from Veles, “unlock the valve” and employ another 100-200 people, but what would I do with that, I intend to spend the money of the citizens who are poor on improving their quality of life, for water supply, streets and roads and not for salaries of meritorious party staff”, Kocevski emphasized. Borche Davitkovski, Professor at the Faculty of Law thinks that in our country, only two entities do not respond politically and are elected in direct elections. “These are the mayors and parliamentarians. That practice must stop because a mayor in our country can be someone with completed 4th grade, or a donkey, as in America, a dog was elected a mayor, but it is a local community of 100 people, not as in the city of Skopje or Kumanovo with 110,000 inhabitants. We must determine the conditions who can be the mayor and the conditions when he can be dismissed” he says. There is a cure for the mayors who have spent their money and are still spending it, but the central government does not implement it in order to save their party members in the mayors’ armchairs. Ace Kocevski, Mayor of Veles believes that competent state authorities do not undertake all the measures prescribed by law for sanctioning the mayors who have problems with financial operations. “State Audit Office reports on mayors’ poor financial performance and abuse are not taken seriously neither by the public prosecutor’s office, nor the financial police. The Law on Financing foresees that municipalities that have a continuously blocked account for 30 days or with interruptions of 45 days have to launch an initiative for declaring financial instability. A body should be set up to manage the municipality financially with two representatives from the Ministry of Finance, ZELS, the Ministry of Local Self-Government and the Mayor, and to propose a program to exit the financial crisis. It has never happened before. The debts of the municipality are huge, no mayor has been held accountable, and the government has decided to cover the municipalities’ debts with a tip”, Kocevski told us. The decision of the Government to pay the bills of former mayors has come to a big revolt with the experts on municipalities in the country. “Instead of taking at least one variant to reprogram the debt for 10 years and to give them money from the budget, and they to return it, it turns out, a breakdown is made, here you are 60 million, start from the very beginning, that means these will start to make new losses. Once you establish bad practice, in my opinion, what the government does is bad practice, it poorly manages the municipalities. If the municipality does not have money it does not mean that it will be abolished, this means that the municipality cannot go bankrupt, but there is a temporary administration, where the central government will manage the resources of the municipality. The mayor, hasta la vista, will go away. Naturally, it is like this in all countries, only in Macedonia he stays, employs new people, does not fire the old ones, for example my municipality Karposh, 400 employees, they have a new building they cannot put into use, they have debts of 40-50 million Euros etc”, Borche Davitkovski, Professor at the Faculty of Law emphasizes. The fact that no government has yet paid the money for balanced regional development, which according to the constitution the local self-governments are entitled to, confirms that the Government intends to cover only the bad municipalities and stimulate them to spend a lot of money instead of developing themselves. That amount is 1% of GDP or in absolute figures about 90 million Euros. Instead of giving all that money equally to all, and rewarding those who have worked well, such as the Municipality of Veles, Arachinovo or Studenichani, they are transferring money to the municipalities that had spent and hired a lot. “To be honest, the state has never given these assets. It is the responsibility of the central to the local government. It is a fact and there is no escape from it. These 60 million that are being given now, it is like setting back the local self-government”. This is also confirmed by the announcement of the municipality of Tetovo where Teuta Arifi is already two-terms mayor. Despite the millions of debts and overstaffing, she will now borrow outside Macedonia to procure buses. Apart from Tetovo, 13 municipalities in total amount of 14.5 million Euros owe to domestic and foreign lenders. These are the City of Skopje 7 million Euros, Centar 4 million Euros, Karposh 2, Ilinden 800,000 Euros, Gostivar 200 and Kocani 150,000 Euros.